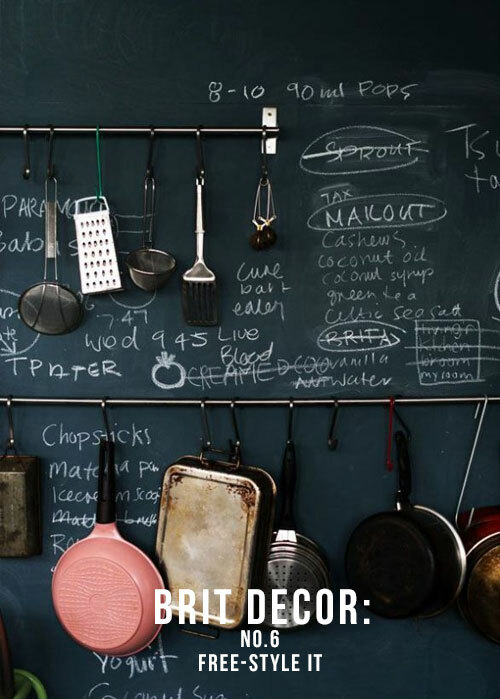 In the run-up to the Festive food season many of us will be faced with the prospect of cooking for guests, not to mention keeping them entertained with our wit, charm and of course, our stylish homes! During this period of heightened social activity, the kitchen is likely to become a flashpoint in proceedings - it's the platform from which we can shine as domestic gods and goddesses as we feed the 'masses' or the select few. Therefore, now is probably a good time to make any cosmetic changes to our kitchen spaces so these are primed and ready for Christmas (unless you have a very fast-working builder, the window of opportunity for larger scale projects this side of festivities, may have already passed you by). 1. 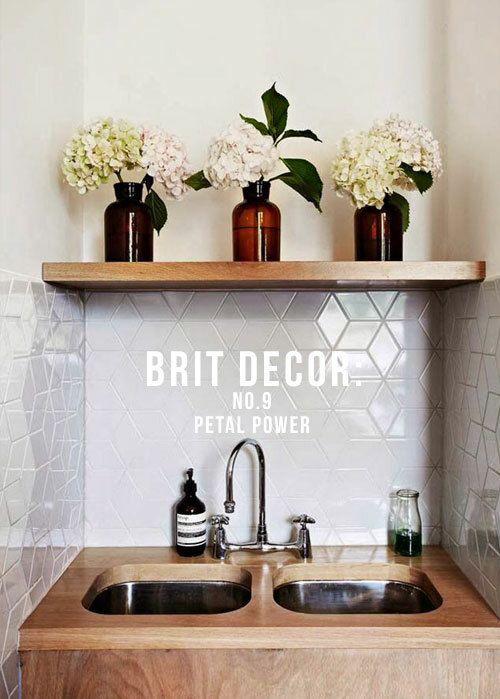 Wall tiles can bring a wealth of texture, colour and pattern to a scheme. In makeover terms, my choice of tile varies depending on the quality of the kitchen units and worktops. If these are of a high quality and look great, then I tend to opt for natural tones with little or no pattern. 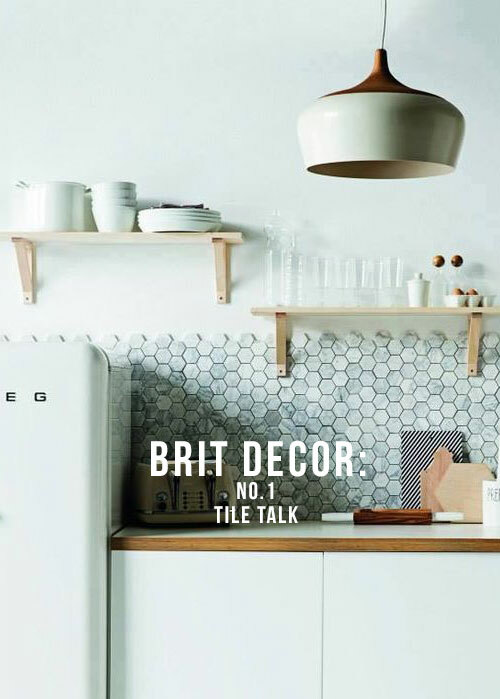 For units which are looking a little tired, try applying the distraction technique and introduce interesting tiles to draw the eye away from less desirable elements in the room and focus on the eye-catching instead. 2. 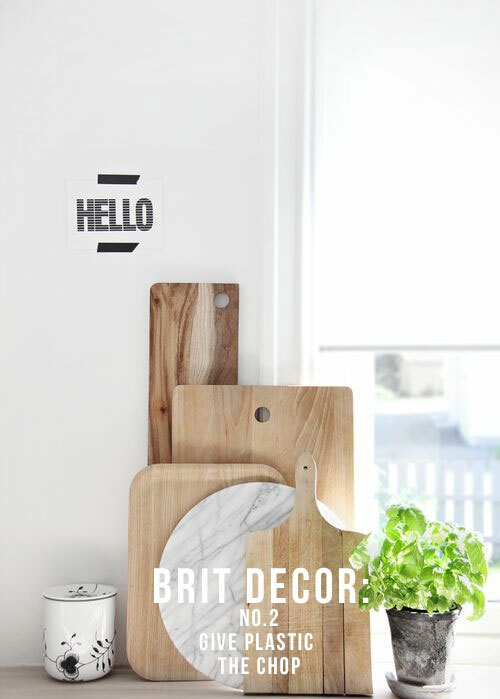 Give plastic the chop - opting for wooden chopping boards and accessories can create a more natural rustic-look. Wood also equals warmth in terms of colour psychology, and it brings texture to the mix too. I'm a big fan of wooden kitchen accessories peppered throughout a minimal design scheme, as this cleverly adds softer pulses of warmth and character. 3. 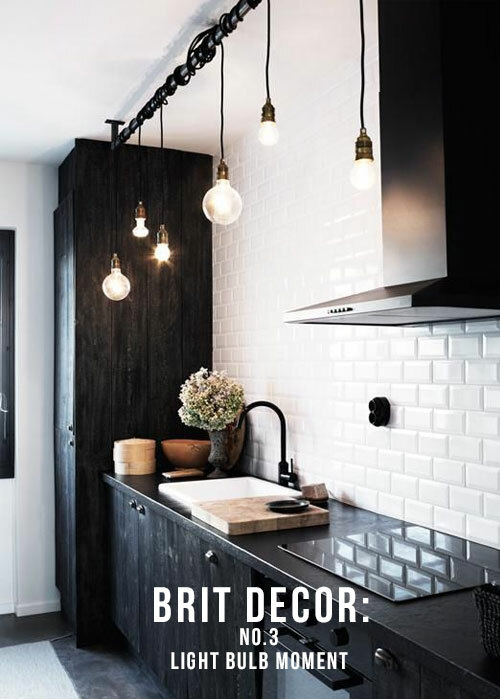 Lighting is key to any successful kitchen due to its practical usage. Take time to consider your space and the key work areas which will need the most light, once you have sussed this, it's time to hunt down the perfect style of light fitting. If you are concerned about compromising style aesthetics for practicalities, why not opt for the best of both worlds? Concealed under-cupboard lighting can bring light to the areas where you most need it, which then allows you to focus on unleashing your full creativity on ceiling lights, without the need for any compromise on style. 4. It really is ok to display! 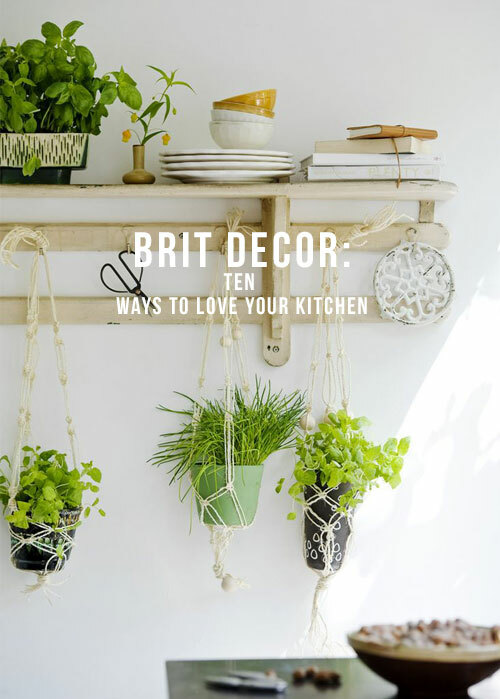 Even in more minimal and clutter-free kitchens, carefully curated displays of favourite kitchen or dining items will create an instant style statement and inject some personality into the space. It's touches like this which can really set a kitchen apart from everyone else's. 5. Add a touch of luxury. Don't worry if funds are tight with the onslaught of Christmas shopping, because creating the luxe-look doesn't mean that you have to go OTT with your kitchen makeover. 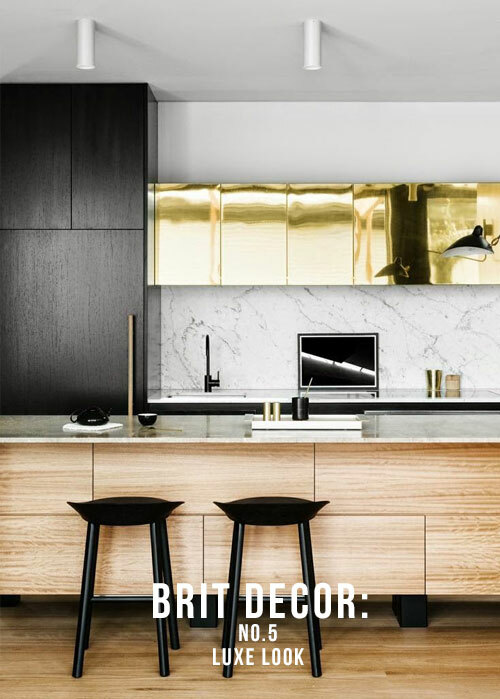 Simple additions such as a marble chopping board, or glossy metal accessories with brass, copper or gold finishes can bring instant glamour and will potentially leave you with enough funds to splash out on some bubbly! 6. Free-style it. I love how handwriting brings instant energy and personality to a design. Chalkboard paint instantly comes to mind - the jet black colouring makes an immediate bold and powerful statement and encourages some free-hand creativity. Chalk walls also serve a great practical function for jotting down shopping items or recipes. 7. 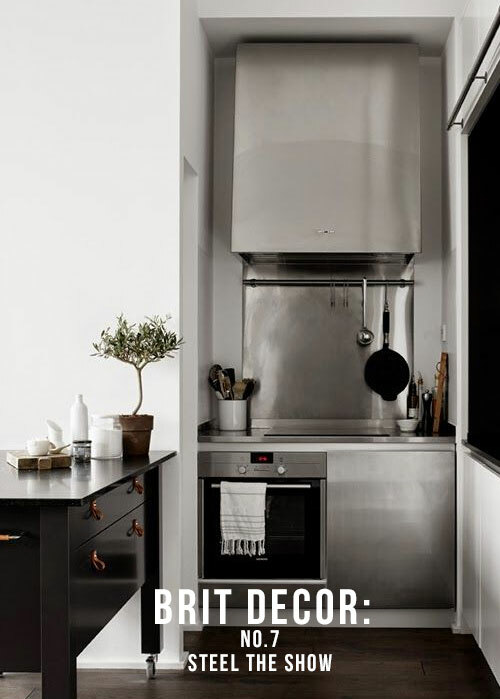 Stainless steel used to be the preserve of industrial kitchens but has long since been welcomed into domestic settings. This material makes for strong, durable and stylish surfaces and appliances. I love how the example 'above' shows how a tiny nook has been transformed into a sleek and concealed steel kitchen area. 8. 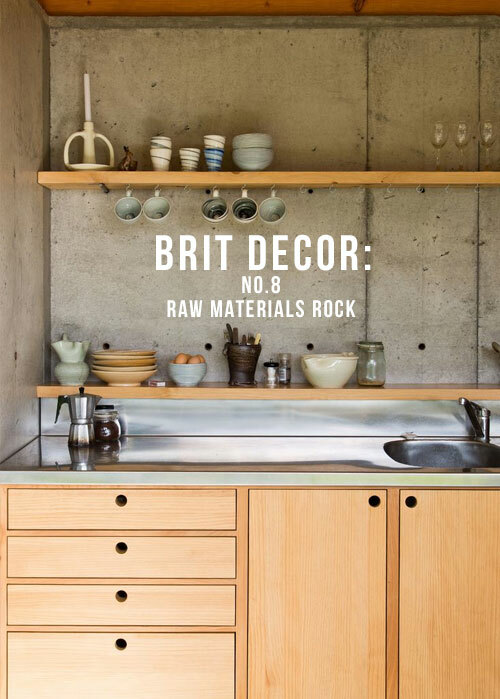 If you are looking for high-trend touches, raw materials are rocking the world of interior design right now. I am seriously tempted by the plywood look after seeing some sleek blonde custom-made sideboard units in Sir Terence Conran's newly designed Thames-side apartment. For the ultimate industrial look - fuse this with another powerhouse in raw materials; concrete. 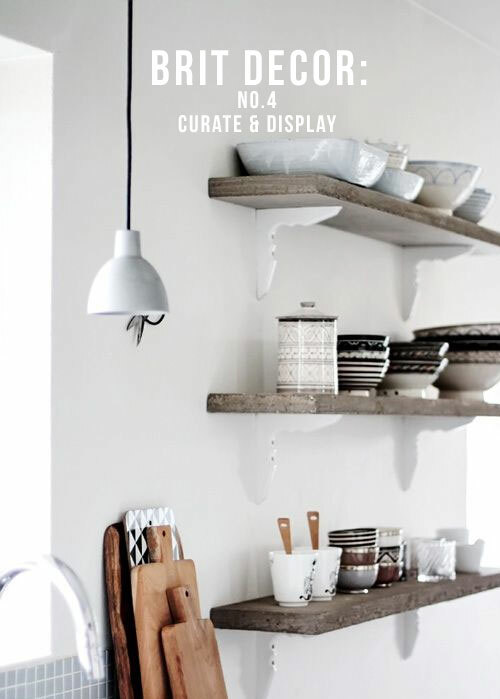 To slightly soften and de-formalise this style, introduce some subtle clay and ceramic accessories. 9. Whether it's potted plants, herbs or freshly cut blooms, if your kitchen is feeling a little bland or sterile, adding some foliage is one of the quickest and most effective means of breathing life into a scheme, it's also one of the most economical makeovers in my top ten! 10. 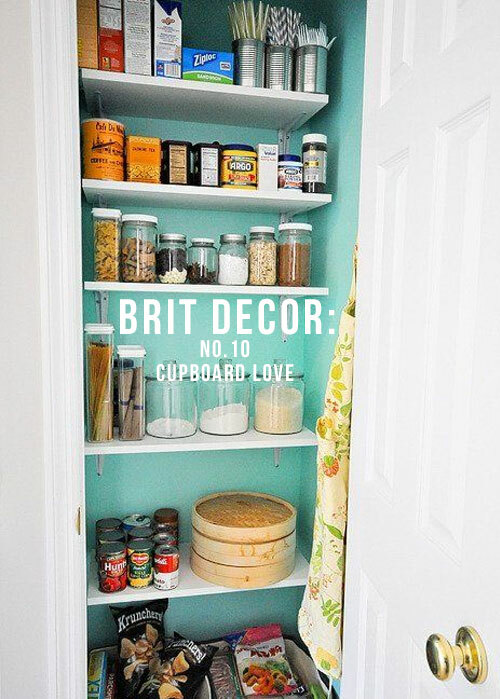 Love your cupboards inside and out. It's easy to give priority to the external aspects of a kitchen but good design considers every aspect of a scheme. Have you recently looked inside your kitchen cupboards - I mean, REALLY looked inside and considered how effective the storage aspect is? I find that the occasional review of how I use a space, albeit one that's away from general view, can be useful and as a result, I often make a fews changes to the way in which I store items. For those larger kitchen storage spaces such as larders, why not inject a shock of colour into this space? This will help to brighten your day every time you delve into your cupboard, even if you are in a hurry!